For this wonderful sketch, I decided to create a tag instead of a card. I usually add these to gift bags instead of including a card. Sometimes I write a few shorts notes to the special friend on the back and use it just like a card. 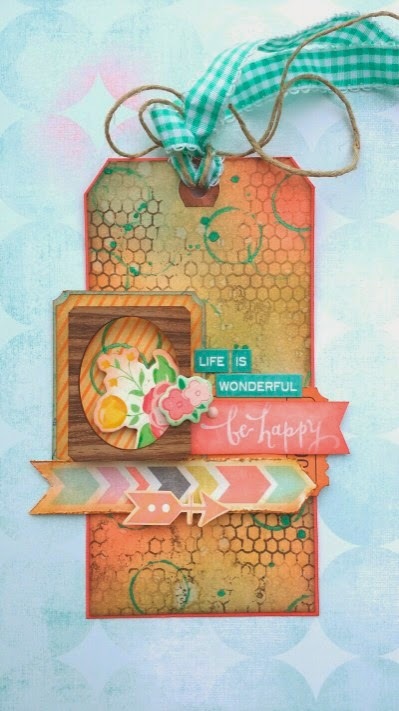 I created the background by distressing a cream colored tag using Tim Holtz Distress inks. I stamped the image on the background using brown Staz On and then flicked some water droplets on it. I used the cap to one of my mists to create the small circles, dipping it in Heidi Swapp Color Shine (my fav for sure!). I used a few pieces of patterned paper from my scraps and then some October Afternoon wood frame and chipboard. The frame sits quite high as I used clear pop dots on each corner. This allows the chipboard pieces to fit under it without issue. It's nice to change it up once in a while from just cards. The sketches can be used for all kinds of projects not only tags and cards! 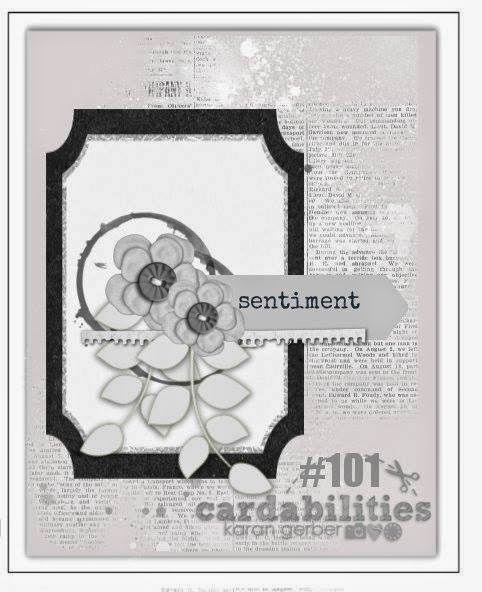 Make sure to link up your card or tag over at the Cardabilities blog for your chance to be featured!